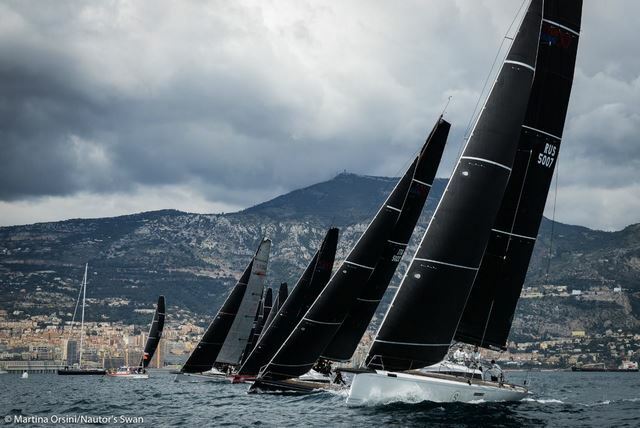 Day three of the Monaco Swan One Design, hosted by the Yacht Club de Monaco, delivered two races of strikingly different conditions. 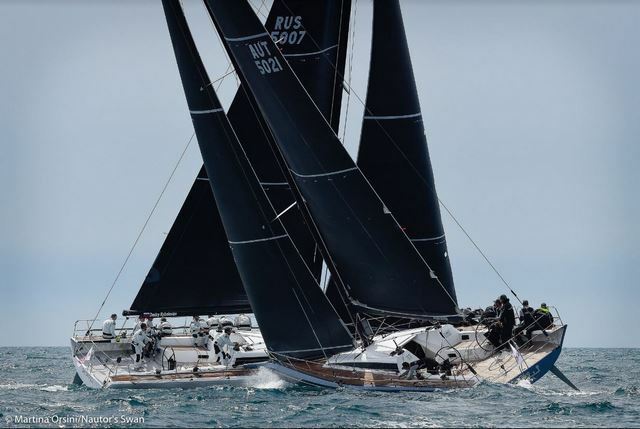 The consistent 10 – 12 knots from the southwest in the first was in stark contrast to the decreasing, rapidly shifting, breeze in the second. What was unchanged between the two contests was the proximity of competition across the three classes. Mark roundings were tight, leads fiercely defended, mistakes costly and victories hard fought. 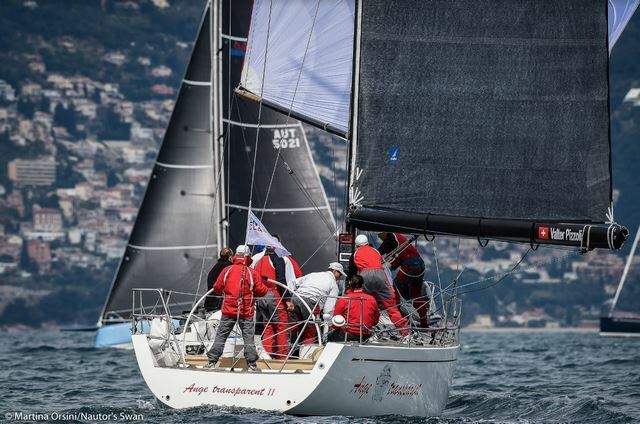 At the end of the day, the leaders in class are: Leonardo Ferragamo’s ClubSwan 50 Cuordileone (ITA), Luis Senis’ Swan 45 Porron IX and Lorenzo Mondo’s ClubSwan 42 Far Star. And, in The Nations Trophy contest, Italy remains firmly in control. Today’s individual race winners were Andrea Masi’s Ulika (ITA) and August Schram’s Stella Maris (AUT) in ClubSwan 50. 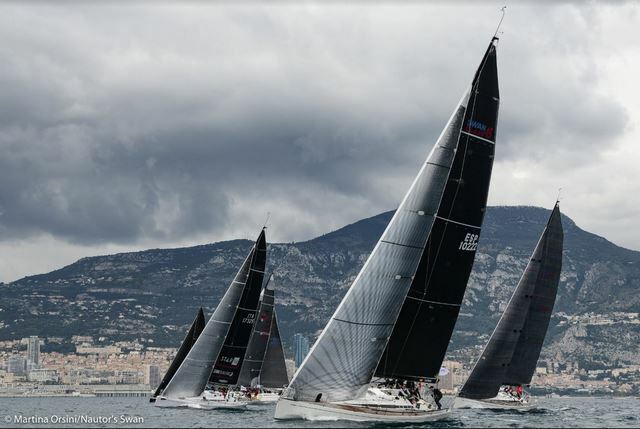 In Swan 45 and ClubSwan 42, the respective class leaders – Porron IX and Far Star - scored double bullets. The first race of the day appeared to catch some off guard. Skorpios seemed to have nailed the start at the pin end only to find themselves over early, having to return and re-cross. 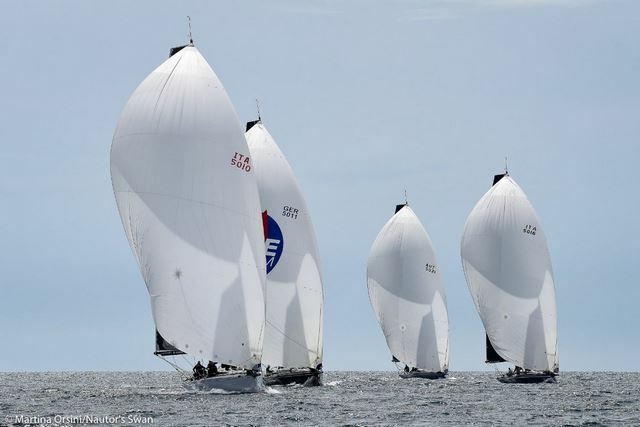 In the ensuing game of catch up, early gains were thrown away on the final leg, with the Russian crew – winners of the first race of the regatta - finishing last. 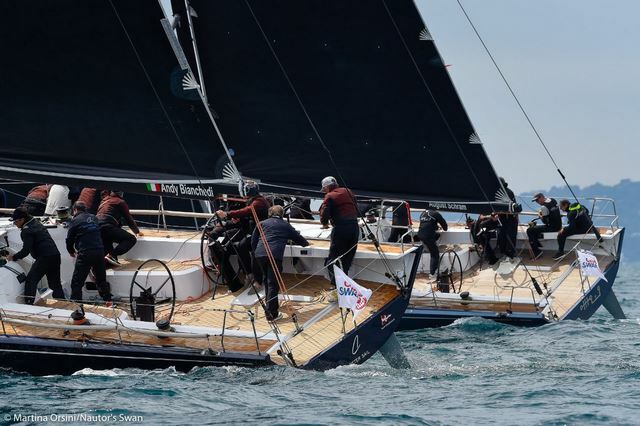 Equally, Cuordileone, Stella Maris and Mathilde (Switzerland) initially looked behind the curve, virtually stuck the wrong side of the Committee Boat when the gun went for the start. It is to the credit and commitment of the crews, and the talents of their tacticians, in turn, Ken Read, Nico Delle Karth and Iker Martinez, that all three extricated themselves and were, respectively, third, fourth and fifth at the end. Ulika and Stefan Heidenreich’s OneGroup (Germany), with Jochen Schumann on tactics, had the best of the start hitting the line at speed at the mid-point. 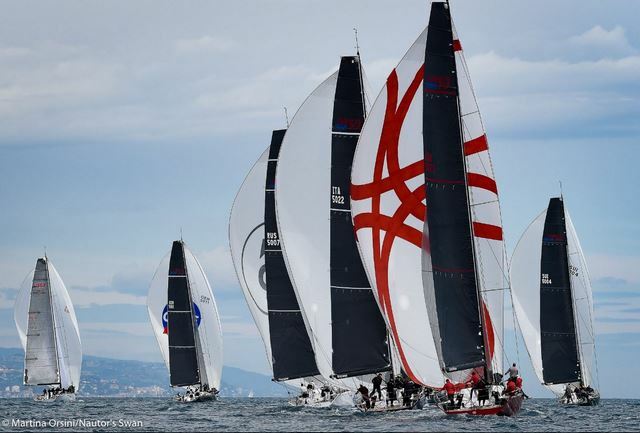 OneGroup held an early advantage, only to lose it permanently at the first downwind mark as Ulika performed an audacious duck inside as both headed to the left-hand gate mark. Ulika would go on to win by 30 seconds. The main beneficiary of the swing in the wind was Stella Maris, as Schram was quick to assert. 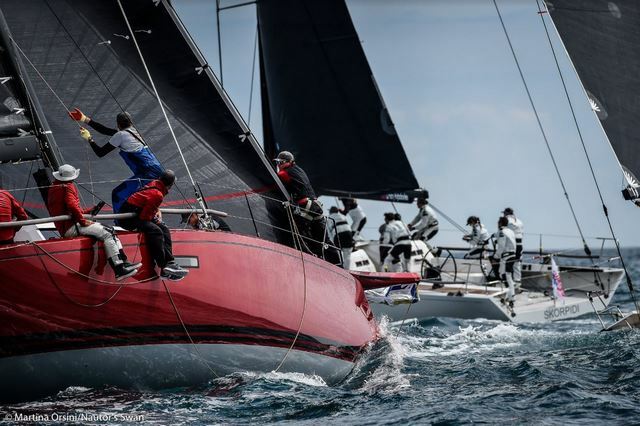 “The second race was really shifty and we were a bit lucky. Initially we wanted to go out onto right side on the last downwind, then we wanted to go back into the middle, but were forced back out. In the end, we were able to head straight to the finish line.” It was a remarkable finish to watch. Skorpios and Ulika, out in front on the left, looked to have the first two places in the bag, but the closer they got to the finish the worse their position looked. The changing wind angle pushed them further and further off the direct course and when they eventually turned towards the finish they came to virtual standstills as the wind capriciously disappeared. 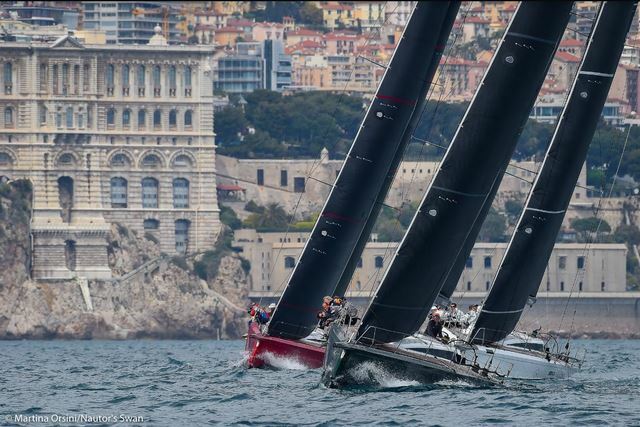 All the two crews could do was watch in despair as their hard-gained positions dissolved as, first, Stella Maris and, then, Cuordileone crossed the line at speed in completely different breeze. At least their problems were not of their making. Mathilde was leading the race after the first downwind leg, but missed a course change announcement upwind, dropping from the lead to last.